The uniqueness and advantages of any products lies in the selections of material. 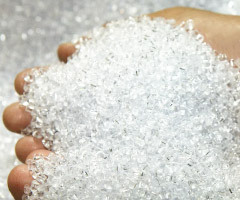 Therefore, as to fulfill our mission we only use selected polymers which is PP (Polypropylene) and PS (Polystyrene) based only. Theoretically, these materials will produce water (H2O) and carbon dioxide (O2) when they are burned. Our products are made of material which is in harmony with nature similar to that made of wood or paper materials. It does not produce toxic or harmful instances even if it is burned. PS material does not emit toxins into the environment which makes them ideal for food packaging. The high transparency and surface splendour has attributed the food to remain fresh for an extended period of time due to light protruding. 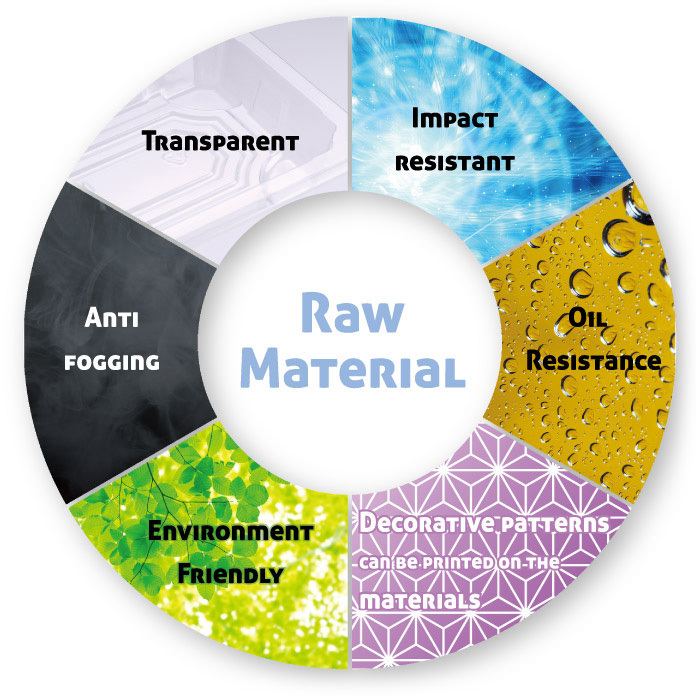 This material is excellent in impact resistance. Decorative patterns can be printed on this material. The maximum usage temperature is approximately 80-90˚C depending on conditions. Avoid using this material at any temperature higher than the above. Avoid using this material in a microwave oven or any type of oven. Do not place any freshly deep fried food directly on this material. Do not pour hot water onto this material to avoid deformation. Do not place this material near fire. Deformation of the container will not affect food and health. Lemon, skin of other citrus fruits, oils and fats may weaken this material. Avoid using this material for storage of alcohols for a long period. Handle with care to avoid hurting your finger tip with the rim of the container. This material is a unique material developed by us. This material is excellent in oil resistance. This material has gloss and easy to print decorative patterns. The material is microwave safe. However, excessive heating may cause deformation of the container. Avoid using this material in other types of oven. The maximum usage temperature is approximately 100-110˚C depending on conditions. Deformation of the container will not affect food and human health. This material is excellent in transparency. The maximum usage temperature is approximately 70-80˚C depending on conditions. Avoid using this material in microwave oven or any type of oven. The maximum usage temperature higher than the above. * HIRO FOOD reserves the right to change specifications without notice. HIRO FOOD materials LPS / LPN / OPS has been certificated by Japanese Food Reserch Laboratories.